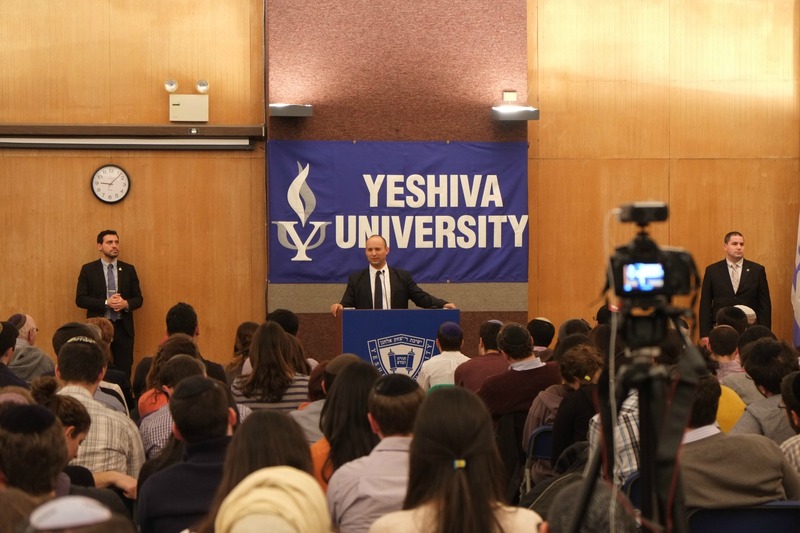 Sharing his vision for Israel at a November 19 event on Yeshiva University’s Wilf Campus, Knesset Member Naftali Bennett asked the crowd of close to 300 to imagine a lighthouse. Currently serving as Israel’s Minister of Economy (Industry, Trade and Labor), Minister of Religious Services and Minister for Jerusalem and Diaspora Affairs, in addition to the leader of the HaBayit HaYehudi political party, Bennett has a plan to help Israel become just that. 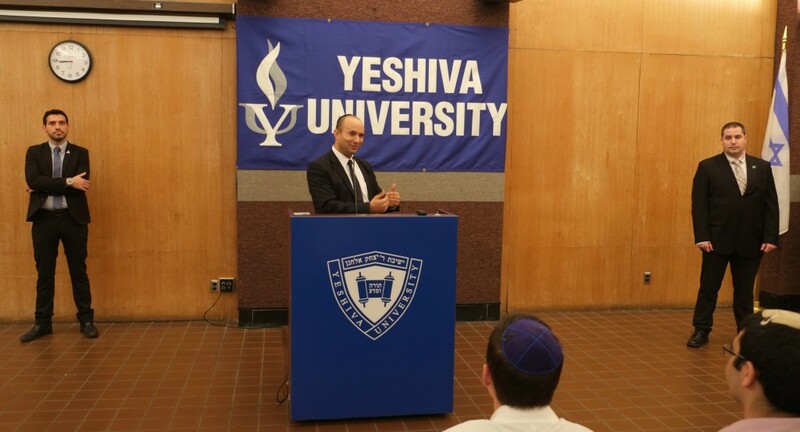 At the YU event, titled “Innovation: Insights from Israel” and organized by the Sy Syms School of Business Student Council (SYMSSC) and YU’s Office of Student Life, he spoke of five key areas in which Israel is seeking to lead the world: water technology, agriculture and food, cybersecurity, medical devices and energy. 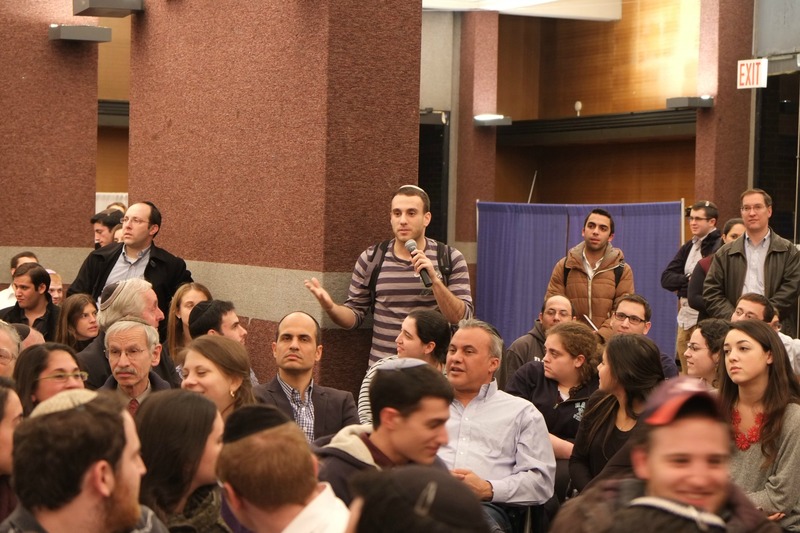 Bennett’s visit was one of many recent events on campus focused on exploring and strengthening students’ connection with Israel, including a visit from Israel’s Education Minister, Rabbi Shai Piron, and an upcoming talk by its Deputy Minister of Transportation, MK Tzipi Hotovely.